Have you ever thought that driving from UK to Spain will be a great route for a road trip? Or are you moving to Spain and thinking to drive down your car as well? 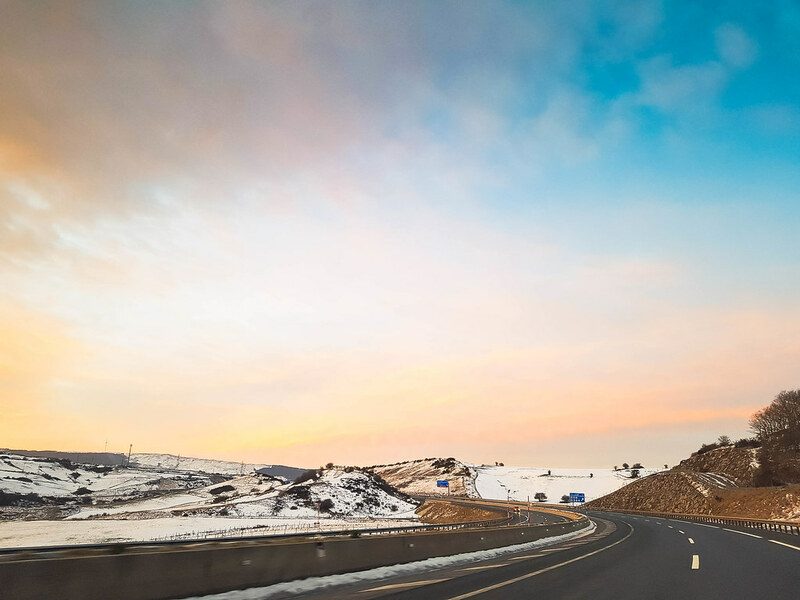 Here are some tips on how to make your journey easier and what to expect from an over 2000+km drive. If you start your trip from London, this route might be the easiest for you. The drive to Dover takes only around 1,5 hours and the crossing is very fast as well. If you choose to cross via the Eurotunnel, you will get to France in about half an hour. If you choose to cross via the ferry, then your journey will be longer (but cheaper). This is the most direct route to Spain but also the longest, as you will have to spend 28 hours on the ferry. The crossing can be quite rough, especially during the night, when the ferry sails over the Bay of Biscay. Overall however, this is the best route if you are not keen on driving very long distances and if you want to save money on petrol as well. With only a 4 hours crossing and good sailing times, Poole is another great place to start your journey from. The ferry leaves every morning at 8AM, arriving to Cherbourg at 12PM (1PM local time). You can properly wake up while having a good breakfast and coffee before embarking on the drive to Spain. The advantage of choosing either the Poole to Cherbourg or Plymouth to Roscoff routes is that you will save time by avoiding Paris and reaching the motorway towards the North of Spain faster. The Plymouth to Roscoff crossing is an overnight one, takes 8 hours and arrives in France at the early hours of the morning. Depending on which route you take, the ferries will have more facilities than others. For example, the least comfortable route, in my opinion, is the Dover – Calais crossing. The ferries don’t have enough seats and I ended up sleeping on the floor. 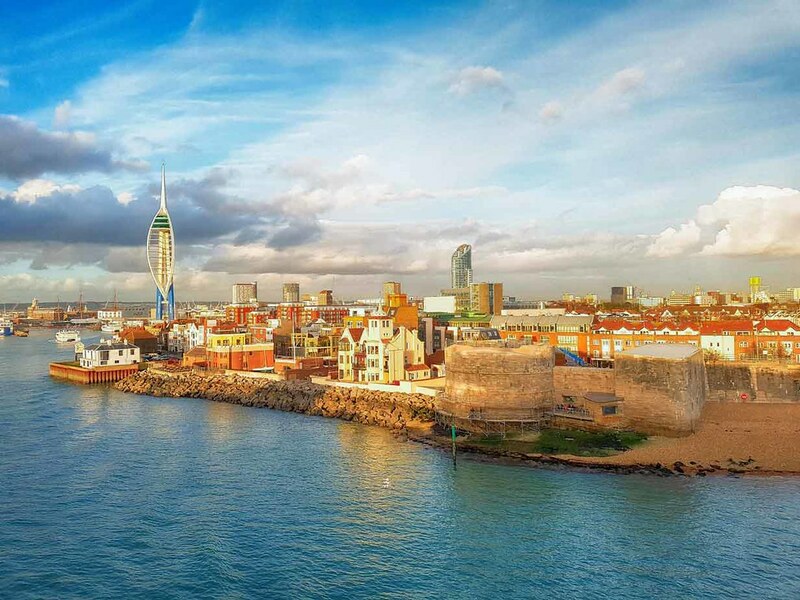 For longer crossings, such as the Portsmouth to Santander or Bilbao, you will have to book a cabin as well, otherwise you won’t be able to buy a ticket. And it’s understandable, for 28 hours of crossing. All ferries have restaurants on board, usually a self-service one and a bar. There will be a daily menu with a few dishes to choose from. The price of a meal is around £10, and from my experience, the food is very good. My favourite was the coq au vin, from Baie de Seine ferry – on the Portsmouth to Santander route. The chefs on the boats are all French (as most of the routes are operated by Brittany Ferries) and they cook the food in big quantities. It might not look good on the plate but it’s delicious! First of all, do not check the ferry comparison websites as they will give you the full price you would pay directly with Brittany Ferries, if not more. 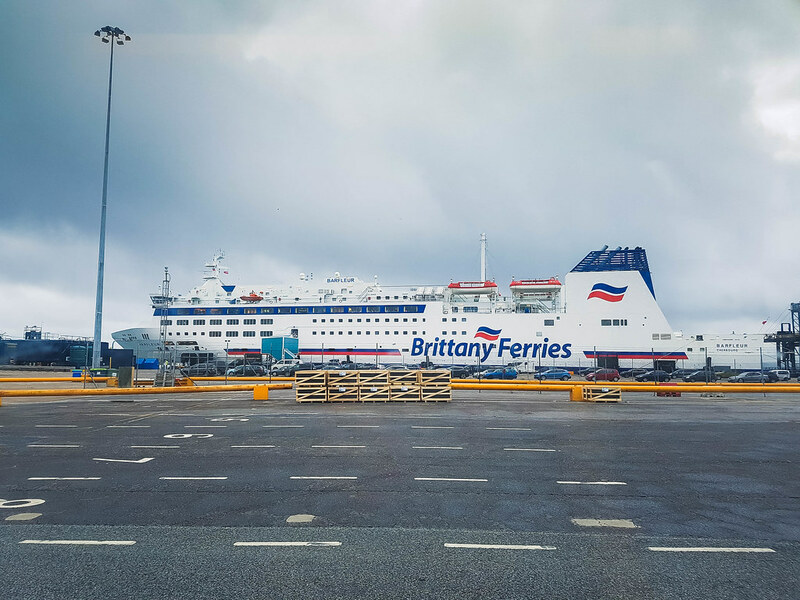 Access the Brittany Ferries website but don’t use to booking engine that you will find on the home page. Instead, access their special offers page, which you can find by clicking on this link. Click on the offer you are best interested in and use the booking form that loads on the offer’s page. You will not get any offer if you book directly on the homepage. I have booked many tickets to cross the channel as I used to go to France quite often. Living right next to the harbour in Poole made it very attractive for me to go to France to buy wine and cheese. And macarons! I have drove from England the Spain quite a few times, and these are my recommended routes. I will set Malaga as the destination because that was my personal experience. Depending on when you are travelling, there is a fast and a slow ferry from Poole to Cherbourg. In winter, the ferry goes to France during the day time and returns over night. It goes very slow, so expect a journey time of approximately 8 hours. In summer, the same ferry leaves Poole in the morning, at 8:30AM, arrives in Cherbourg at 12PM and returns to England later on, arriving at 10PM. When you drive from Cherbourg to Malaga, expect to spend 2 nights in hotels, one in France and another one if Spain, due to the timings of the ferry. The road out of the Cotentin Peninsula is quite straight forward and very good. Cherbourg is a small town and it won’t take long to join the motorway towards Bordeaux. You have about 50 kilometres until you can join the fast motorway on which you can drive with 130km/h. The 337 kilometres from Cherbourg to Nantes take approximately 3 hours and 30 minutes, on a day without traffic incidents. Your first night will be in Nantes. As it is quite a long trip, I won’t recommend driving in the dark, once the sun has set. You will be tired and it’s harder to concentrate. Stay in a hotel close to the motorway, just outside Nantes, so you avoid the incoming traffic in the morning. Some recommendations are: Le sequoia apartment, La Vertabelle bed and breakfast and Au Gré du Hasard B&B (read reviews here). All of them are very close to the motorway and offer great value for money. And a good night’s sleep. Click on the names to read the reviews, see pictures and check the latest prices per night. The next day will be long, with a 700 kilometres drive, from Nantes to Vitoria-Gasteiz, in Spain. This is the day where you will spend the most money on tolls as well, mostly in France. The motorways in France are good, but the ones in Spain are much better. Once you cross the border between France and Spain you will enter this spectacular scenery, with the road sinuously passing through long tunnels which exit on high viaducts and bridges. It’s a beautiful scenic drive. The second night you will stop in Vitoria-Gasteiz, a small city in the North of Spain. I stayed at AC Hotel General Alava (read reviews here), which is part of the Marriot group, for only 60 euros a night. I had a gorgeous large room with a recently renovated bathroom that was pretty much the same size as the bedroom. Just around the corner from the hotel there is a typical Basque food restaurant which serves delicious fish dishes. It’s called Mesa jatetxea. The third day is the longest, so plan to leave Vitoria Gasteiz early. It will take a little bit over 9 hours to cross Spain from North to South, but the roads are in great condition and not busy at all. The only part where you will spend some time will be passing through Madrid. Make sure you had some coffee before you arrive in Madrid, as you will need to concentrate quite a bit as there are many lanes and many merges. Once you pass Madrid, the journey becomes enjoyable again. Due to the overnight sailing, the trip from Roscoff to Malaga only takes two days. Roscoff it located in the Brittany peninsula and it does take a while to get onto the motorway: about 2 hours of slower driving. The scenery however is very pretty, the road passing through forests and traditional French stone villages. You will spend the first night in this journey in Irun, a town just across the border, in Spain. I recommend the Ibis Hotel (read reviews here), which is conveniently located and quite modern. I paid 40 euros a night for a double room. They have an onsite restaurant as well which serves basic food. I didn’t notice any other restaurants around, as it’s quite an industrial area. From Irun the trip to Malaga is pretty much the same as in the above section. From Irun to Vitoria Gasteiz there’s another hour’s drive. This route is the easiest if you are not keen on driving through France. The ferry arrives in Santander in the evening, so you will need to look for a hotel pretty much as soon as you get off. I recommend Hotel Mirador de Gornazo (read reviews here), as it’s just off the motorway and outside Santander, so you don’t have to deal with the morning rush hour. There are no restaurants nearby, but the gas station in front serves some really good, cheap food. I paid 35 euros for a night here. There is a highway from Santander all the way to Madrid, so you don’t need to worry about slower roads on this route. Be prepared though as they do cross mountains at a higher altitude, where in winter you might encounter snowy conditions. Make sure you have the proper tires for your car. Driving from England to Spain is not your usual journey to the supermarket and back, so you need to make sure that your car is in good shape to do the trip. Check the oil of the car, the engine coolant, your lights and your tyres. Is your car fit to do such a long journey? Driving over 2000km is not easy in a small car, such as a Fiat 500 for example. Small cars might be great for cities, but don’t try to take them for long journeys. The lack of space and the inability to be comfortable behind the wheel will make this drive more of a hell than an enjoyable road trip. Does your car have cruise control? This helps a lot, especially on motorways. 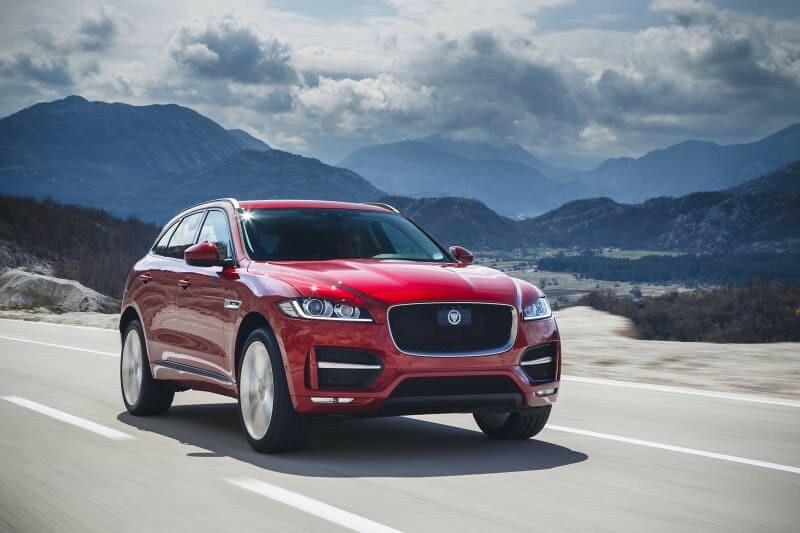 If you are planning to do this trip often, consider investing in a car that will be easy to drive, such as a Jaguar F-Pace which is not only a great family roadster but also has very low emissions which makes it environmental friendly. Avoiding toll roads in France will take you back about 6 hours, so it’s better just to bite the bullet and use the high-speed motorways. In Spain you do have an option to avoid the toll roads and still be on fast motorways. The only difference is that the toll roads are usually empty, whilst in France is not the case. The speed limit on the motorway in France is 130km/h. Make sure you don’t go over as the radar systems in France measures the average speed on a section of the road and not just in a single point where they are installed. If you speed you will get a fine in the post. In Spain, the speed limit is 120km/h on motorways. Depending on what car you are going to drive and which route you are going to take, the average fuel consumption will be around 2 full tanks from England to the South of Spain. Fuel is more expensive in France so try to fill up in England and in Spain if you can. Crossing France will cost you around 100£ in tolls if you start your journey in Cherbourg or Roscoff, and around 150£ if you start in Calais. In Spain there are tolls only in the North of the country, on the motorways near San Sebastian. The total cost of crossing Spain in tolls will be around £20. A one-way ticket for the crossing, depending on the time of the year, will cost you between £100 and £800, plus the cost of the cabin. This ranges between £40 – £110 in low season and £70 to £165 in high season, for an overnight crossing. 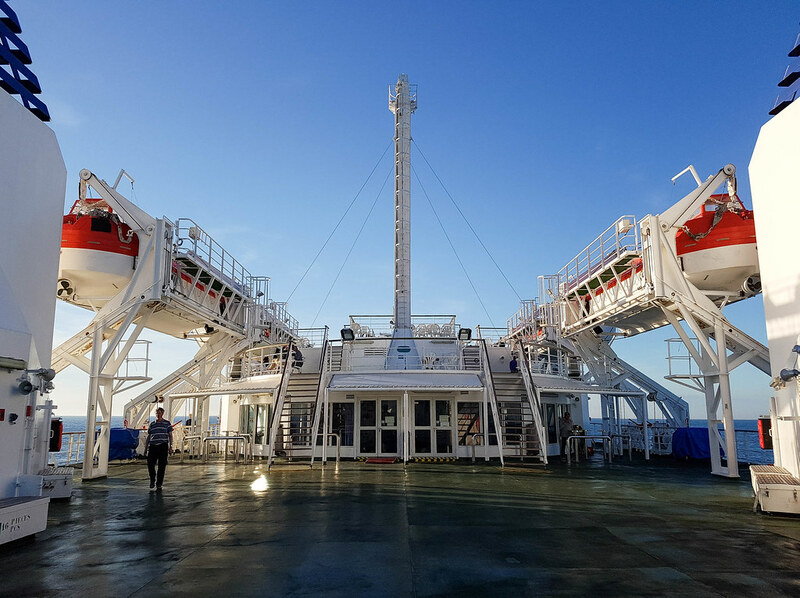 For a day crossing the prices are between £26 and £70, depending on how many beds are inside and the comfort of the room (size, location on the ship and facilities inside). 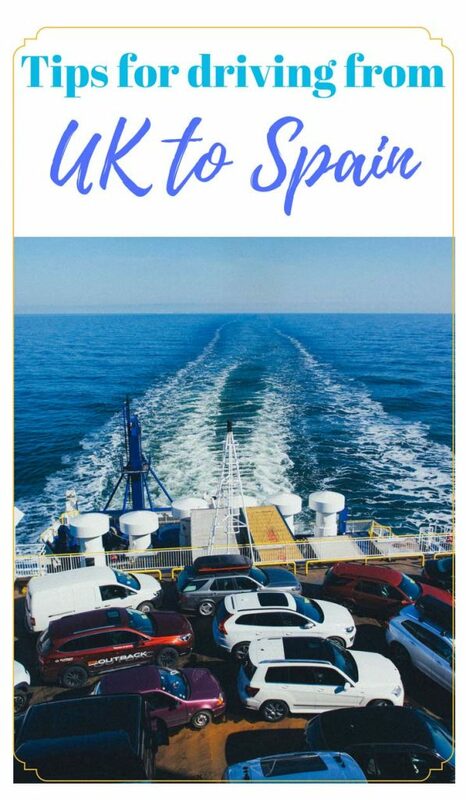 The most expensive ferry is the Portsmouth to Santander/Bilbao one, but if you look at the whole picture, you are saving money on fuel and get a day’s worth of relaxation on board. If you have plenty of money to spend however, you can always choose to sail with Brittany Ferries’ flagship cruise ferry, Pont-Aven, which features a pool, a five-deck high atrium with panoramic lifts, a cinema, evening entertainment and luxurious cabins. You also have to add to the costs the night you will spend in a hotel. I would not recommend driving by night and for such a distance you do need a good bed to rest. From my experience, the best place to stop for the night is the North of Spain. The first time I did this journey I stopped at a cheap hotel, just off the motorway, outside Santander. The second time, coming from France, I stopped in Vitoria and spent the night at the AC Marriot. You would be surprised how cheap a 4 stars hotel is in a non-touristy city: 60 euros. Disclaimer: This article was written in collaboration with John Clark. Some of the links one this website are “affiliate links.” This means that if you click on the link and do a purchase, I will receive an affiliate commission at no extra cost for you. This helps me keep my website running and continue to share my traveling knowledge with you. I thank you for booking your flights or hotels using the links on my website. Regardless, I only recommend products or services I use personally and believe will add value to my readers. Driving from UK to Spain? That’s one hell of a road trip and even though I’d actually enjoy it, I wouldn’t be the one on the wheel. And yes, the car type actually matters. That one is so terrific and would actually do it! I have never been on a ferry. It amazes me that these boats can carry your car. This is good to know! We might go on a European vacation one day, so I’ll keep this in mind. I’ve been in the Eurotunnel before! Wow, I never know you can do it from UK to Spain on a roadtrip. I was planning for Spain roadtrip end of this year and your post has given me some insight information. I am not sure to join the package tour which will bring me the whole spain with the tour bus or should I do a road trip by own self driving? Do you also have a road trip post in Spain that I can refer to? Such as how to drive in Spain? I am flying in from Singapore to Spain. This was quite helpful, great post! Imagine all the adventures driving from UK to Spain, sounds like a very long trip. That is one heck of a road trip.. But adventurous too. I can just imagine.. wow.. well explained..
Reading this is a great experience in itself for me. Someday will love to own this experience by travelling to this place. Thanks for sharing. I was born in London, and the Eurotunnel just opened up when I moved to the states. It amazes me that you can now drive from England to France, and how it opens the doors to drive to other places in Europe. I hope to take my kids back to where I was born, one day, and a car ride like this will have to be added to our vacation. I had to do a double take on your photo of the ferry, our BC Ferries in Canada look very much the same. I’m not sure I could handle 28 hours on a Ferry, I go stir crazy going across to Vancouver Island on less than 3 hours. But I love road trips. One neat thing when I was a teenager taking the ferry, there were Killer Whales you could see from the ship. It only happened the one time of all my times riding the ferry though. 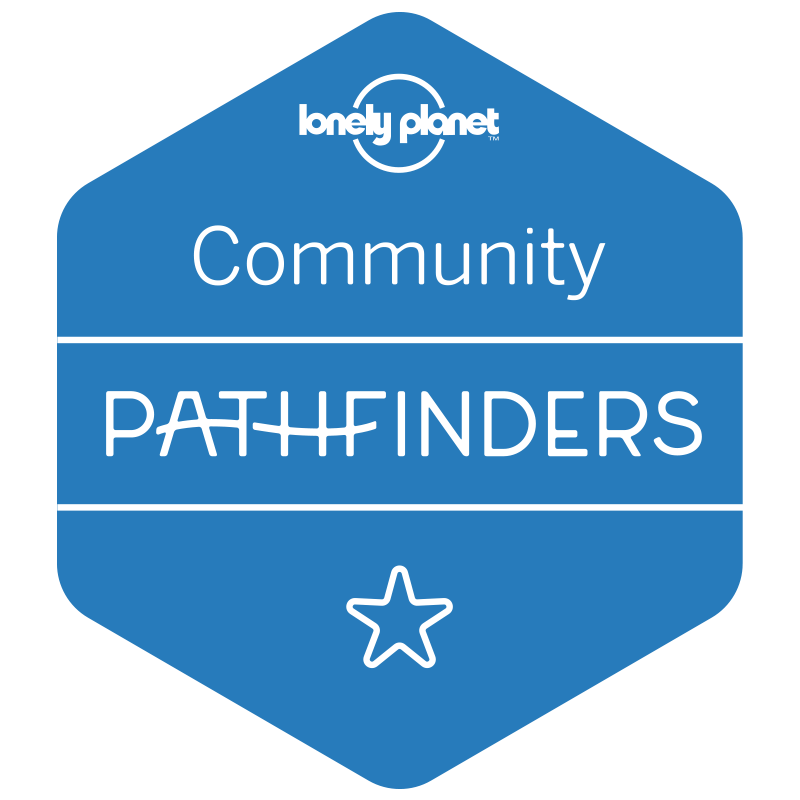 It would be a tiring journey but I guess it would be worth it for those who want an ultimate road trip like who wouldn’t want to drive to another far away country and live to tell the tale :p kidding aside, this is a very useful post. Thanks for sharing! Wow! Lucky you to roadtrip UK to Spain! How I wish I have to experience that! That would make for such a long ride! How many km between the two? I love driving and road tripping though. Must be such a great adventure to drive all the way! It’s about 2000km between UK and Spain, it depends though on which route you want to take, as if you go to Santander you cut almost half of it. Wow! Who knew that you could drive from UK to Spain? I can only imagine all the adventures there were taking that drive. It sounds like a very long trip. Driving from the UK to Spain had to be a beautiful adventure. I can only imagine the sights that you encountered. Great post and an interesting read. Wow this is such a great guide! I actually have a few friends planning a trip from the UK to spain and Italy so these tips would be so helpful for them. So much good info here. We have been thinking of driving from England to France or maybe Belgium. The thing that makes me uncomfortable is having a car configured for driving on the left and then having to drive on the right. Did you have any issues with that? To be honest I can drive on both sides and can’t really see a difference. The only thing I notice is on the blind spot, instead of just turning my head to make sure it’s clear I I have to turn my entire body to see, because of the wheel being on the other side. I never knew you could drive from UK to Spain. 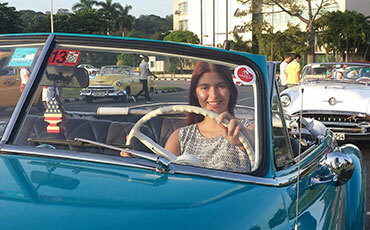 Are there car rentals available in UK which would allow this kind of trip? You wouldn’t want to do this trip in a rental car. Is more economical to fly to Spain and then hire a car there, if you want to do a road trip inside the country. You will probably find companies that will rent you a car to take out of the UK but it will cost too much and it won’t be worth it. We’re planning to drive down to Greece in the next year or so, so this was really helpful. We have been thinking of doing this for a camping holiday. It’s a long way, but thanks for all the tips! I know of a few people that have done this in the past, it always seemed crazy to me – but you’ve covered it really well. I’d definitely consider doing this in the future should the opportunity arise, especially with the wealth of information you’ve shared here. I didn’t realise the tolls would be so expensive in France! My husband an I are planning to visit Spain and I am sure this might help us! I am going to bookmark this and use some tips. Thanks for sharing! I did this trip almost 10 years ago and absolutely loved driving down from Calais to Barcelona, beautiful scenery and the roads were excellent. We did this trip in March! It was fantastic, we travelled over to Santander but it was very rough on one of the legs of the journey . Still a brilliant trip. Thank you for a really interesting post about travelling to Spain by car. It’s not something we’d think about while the kids are so young. We’re just on our way home from Devon ( we love near Nottingham) and that seemed far enough with a 6 and 10 year old in tow! Something to consider in the future though!